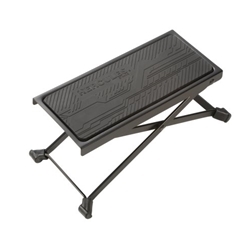 This foot rest plate is sturdy and durable. It has eco-conscious rubber for comfortable, non-slip support. It is compact, and is able to be broken down for storage. Height adjustable 5-Inch - 10-Inch , Weight 1.8 lbs.